Managing civil engineering projects requires dealing with uncertainty – events that could impact project delivery. A Risk Manager is someone who builds a risk-aware culture so the different groups delivering the project recognise the risks and develop plans to manage them. A career as a Risk Manager involves demonstrating creativity and the ability to effectively solve problems. 'Risk Management' as a term is confusing. It is an essential part of any construction job, ensuring that people son't come to physical harm. 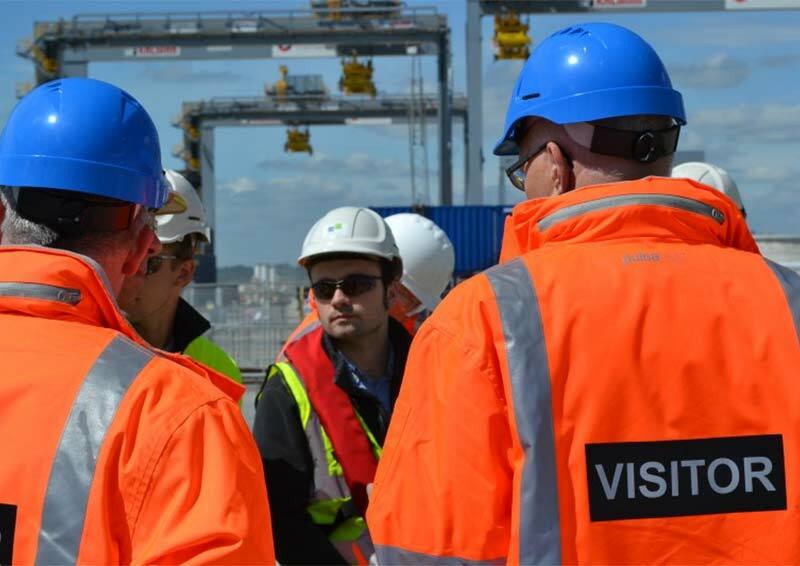 Safety is the most important element of delivering projects, however managing allrisks to the project outcomes of quality, building on time and within budget all form part of a successful project. Risk management is more than avoiding "threats". Project outcomes can be improved by identifying innovative opportunities to designs, schedules and contracting arrangements. Risk Management is the process to identify, evaluate and mitigate risks to increase the project's likelihood of success. Risk Management starts early in the project lifecycle in selecting the 'right' project to implement during design and construction with project team and supply chain of equipment & material suppliers and construction contractors. What a 'Risk Manager' does? Managing civil engineering projects requires dealing with uncertainty – events that could impact project delivery. With increasing project complexity, specialist “risk” roles (Risk Manager / Risk Engineer / Risk Analyst) are increasing - some as part-time advisors, others full-time in the project team. A Risk Manager is someone who builds a risk-aware culture so the different groups delivering the project recognise the risks and develop plans to manage them. This means communicating a clear process and actively engaging with the wide range of participants. Risk Managers focus the project teams attention to identify risks, assess which are most critical, and put in place plans to mitigate them. Establishing the risk register is important but equally so is following through to see mitigation plans are effective in reducing risks. Risks change during the project and the risk management process must be dynamic, closing mitigated risks, identifying new ones, and communicating the status across the project team. Key skills are diligence and being methodical in assessing the risks involved and their consequences. The design and construction experience is invaluable in investigating risks, ensuring risks are consistently ranked so the most severe are addressed, and that appropriate risk mitigations are developed. Risk Manager opportunities extend beyond projects into business roles. Operator Companies require risk assessments to make capital investment decisions. And risk management is an essential part of executive management to manage the wider range of corporate risks (financial, strategic, operational, reputational, etc.). A career as a Risk Manager entails a lot of creativity and problem solving. Risk investigations range from in-depth investigation into technically challenging work, to wide-ranging external factors and diverse stakeholders. It provides the opportunity to work with the broad range of project participants. This is a mentally stimulating role that leads to a “big-picture” project view. This is a fast growing area, with lots of varying roles within it. Risk management is a key business discipline that supports business operations and growth. If risk managers fail, the whole organisation may fail, so it’s very important. The bar is being set higher and Owners and Investors expectation of the engineering industry to deliver projects reliably is increasing. Capabilities in risk management processes, systems and the Risk Managers to lead these have become prerequisites for major infrastructure projects. And engineering companies and contractors are increasingly implementing these tools and techniques to better improve their contract outcomes. Risk Management is both becoming more of a discipline it its own right with organisations such as the Institute of Risk Management and processes such as ISO 31000, and its application in Infrastructure is becoming better defined with the RAMP methodology developed by the ICE and Institution of Actuaries. Larger contracts increasingly contain explicit requirements that risk management is performed. And this is progressively underpinned by well-defined Risk Management Plans and professional risk management software to record risks and track risks. Quantitative analysis is also performed in specialist schedule and cost software using Monte Carlo statistical techniques. These factors, and increasingly stringent corporate reporting requirements, have led to increased opportunities for Project and Corporate Risk Manager roles. Infrastructure is booming and there is a growing need to manage more complex risks. Owners have increasingly turned to project finance and the funding Institutions to look for greater assurancebefore agreeing fund release. These drivers provide risk opportunities in Owners' organisations, project management teams and contractors. On the largest infrastructure projects such as Crossrail and Thames Tideway, there have been positions in dedicated Risk Management teams. How do I become a project Risk Manager? To become a Risk Manager, a Bachelor's degree in Engineering is most common, such as Civil Engineering or Civil Engineering Technology. However, it is possible to come in via a business degree, then go into planning/cost engineering, building up around 8 years’ experience as a ‘project control engineer’. Basic risk management training can be obtained through short courses from ICE and other organisations. Intermediate training in project risk management qualifications can be obtained through study with the Association for Project Management, and for general risk management through the Institution of Risk Management. The Institution of Risk Management has a diploma for advanced risk management. Specific ‘risk manager’ and ‘risk engineer’ positions are typically found on major projects. To first become a ‘risk manager’, you need to demonstrate risk knowledge such as having completed in-company risk management training, performed quantitative risk analysis, or operated a risk register in a support role. ‘Risk Manager‘ is a senior project management team position. For more senior roles, up to 25 years’ experience can be called for, along with experience having developed a Risk Management Plan and a Risk Register and then using these to monitor these for major projects (major projects are >£100m). Track Record (Past 10 years): Experience in Project Management Consultancy (PMC) organisations in the field of Refinery / Petrochemical industries and must have developed Risk Management Plan and Risk Register and monitored same for major projects of not less than $500 Million each. The Risk Analysis and Management for Projects - recorded lecture provides an overview of the 3rd edition of the Risk Analysis and Management for Projects (RAMP) handbook. This book gives a simple and straightforward process for evaluating and controlling risk in major projects, which has been developed by a joint working party of the actuarial and civil engineering professions. ICE Legal Notes Series: Reviewing the work of another engineer and replacing another engineer - This note is to make an engineer contemplating such an appointment aware of the legal implications of reviewing and replacing another engineer. A review of the use of complex systems applied to risk appetite and emerging risks in Enterprise Risk Management (ERM) - This paper applies systems thinking to help define a company's appetite for risk and subsequently assess difficult to quantify risks in a rigorous manner. The method looks at interconnections and integrating qualitative and quantitative measures. Benefits of complex systems approach to Enterprise Risk Management (ERM) - This introduces a 'systems' concept for looking at Enterprise Risk Management as a complex system. It covers methods and tools, and gives examples of their use. It introduces the connectivity matrix as a tool to spot early warning signals from complex adaptive systems. Modelling complex risks with Bayesian Networks - This paper describes how to use Bayesian networks to assess individual risks methodically. (From IaFoA) http://www.theactuary.com/features/2014/09/bridging-the-divide/ - Chris Lewin looks at the risk initiative between the actuarial and civil engineering professions. (From CIRIA) A simple guide to controlling risk (SP154) - This book gives you an introduction to how to do reduce and control risk, aimed specifically at smaller construction companies. The result should be to save money (or lose less!) and reduce the number of accidents, reduce or eliminate the likelihood of litigation. ICE offers training on Temporary Works Supervisor Training Course to achieve a recognised standard of health and safety at work; and CDM 2015 training courses to understand the implications of the new CDM regulations that became law on April 6th 2015.